OMNIPURE units are specifically manufactured for marine and offshore installations requiring permanent or long-term operation for sewage treatment. The rugged design of the OMNIPURE offshore line of units is well suited for the rigors of industrial platform installations. 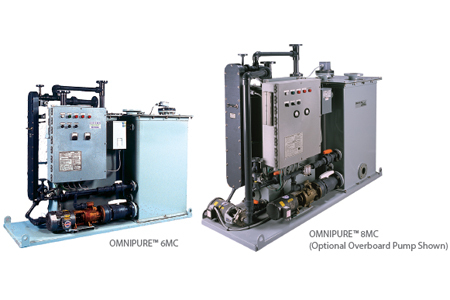 Minimal maintenance, small equipment footprint and the light weight packages, make the OMNIPURE a long-term solution for wastewater treatment on a variety of offshore and marine installations, including those deeper water, weight-sensitive applications.